The girls asked for a swimming lesson yesterday – it was our second swim of the day, so we all got changed and whilst I got the towels they waited patiently by the pool. Or that’s what I thought they were doing. 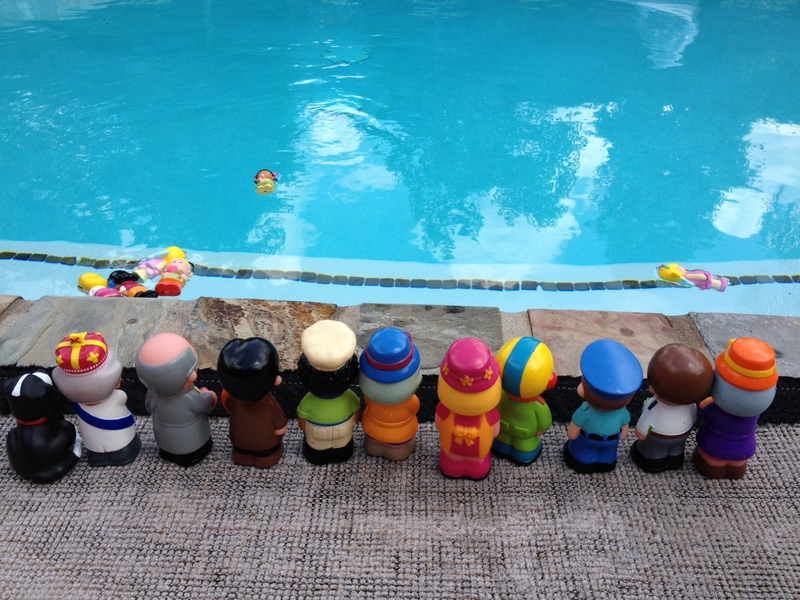 What they were actually doing was lining up all the HappyLand people along the side of the pool, ready to watch the HappyLand little girls take place in a swimming gala. There was me getting all excited as I thought the girls were going to let me teach to swim better, when what they actually wanted to do was to get the HappyLand people to swim better. A noble cause, as none of them have lived near to any water before (unless you count the village pond which is printed on their storage box) but not quite as exciting for me.